The senior population in the United States has grown at a record breaking rate in recent decades. Experts tell us that the dramatic increase is due to a combination of a significantly longer average life expectancy in the U.S. and the fact that the “Baby Boomer” generation is moving into their retirement years. With the population of older adults in the United States growing at an unseen rate, issues that concern the elderly have also taken on a heightened importance to society and to the legal community. As of the 2010 Census, the City of Riverside had a population of 303,871 residents. Residents age 65 or older make up 8.6 percent of the population with 6.8 percent of the households being made up of a senior living alone. Whether you are a senior yourself, a caregiver, or a loved one, finding resources to help with many issues can be challenging. To help you locate those resources when you need them, the elder law attorneys at Dennis M. Sandoval, A Professional Law Corporation have put together this Riverside, California elder law resources page. As a resident of Riverside, California it is always a good idea to have some of the more frequently used local government resources handy. Many of those can be found on the City of Riverside’s official website. The website offers telephone numbers and contact information for most city departments and helpful information about the city itself. It is equally important to be able to quickly and easily navigate to emergency contact information such as the City of Riverside Police Department which serves residents who live within the city limits. If you live outside the city limits you must contact the Riverside County Sheriff’s Department. California Care Planning Counciloffers the ability to search for skilled nursing care and alternatives types of care for seniors. In addition, you will also find a wealth of additional information and resources for the elderly on the website. comis a website that allows you to search or home health care providers, assisted living facilities and skilled nursing homes all in the Riverside area. The Medicare.gov website has a Nursing Home Comparesection that lets you search for, and compare, nursing homes in the Riverside, California area. The Eldercare Locator website, a public service of the U.S. Administration on Aging, also offers a searchable database of care providers in the Riverside community. The California Advocates for Nursing Home Reform has an excellent resource pageabout nursing homes and a list of facilities by county. California Advocates for Nursing Home Reform also has resources pages with information about assisted living and residential care for the elderly(RCFE) as well as Continuing Care Retirement Facilities. Unfortunately, one of the biggest concerns when a loved one needs LTC is the cost of that care. The cost of LTC in the United States has increased right along with the older population, and is expected to continue to increase in the years to come. In 2017, the average yearly cost of LTC throughout the United States was over $80,000. In the State of California, residents paid considerable more than the national average with the average cost running over $115,000 per year in 2017. Because neither Medicare nor most basic health insurance plans cover the expenses associated with LTC, it is critical that you plan ahead to ensure you can cover your LTC expenses if necessary. For many seniors, planning ahead means incorporating Long Term Care Medi-Cal Planning and VA Planning into their estate plan to ensure that they meet the Medicaid eligibility requirements. Medi-Cal and VA planning is crucial because of each programs’s very low “countable resources” limit used when determining eligibility. The good news is that the Elder Law attorneys at Dennis M. Sandoval, A Professional Law Corporation can help you with strategies that will protect your assets and prepare to for eligibility for government assistance to pay for caregiving and long term care costs should the need arise in the future. For a wide variety of valuable senior resources in the Riverside community, browse through the Riverside Senior Resource Guide or navigate to the Riverside County Office on Aging website. Retirement need not slow you down. Many seniors enjoy getting out and about and socializing with old friends and making new ones. If you are looking for places to mingle or meet new friends, Riverside has three Senior Centers that always have something fun going on for seniors. For veterans, try the American Legion Post 79 and/or Veterans of Foreign Wars (VFW) Post 9223, VFW Post 10267, or VFW Post 8547. Many state and federal resources and assistance programs are geared specifically at seniors. An excellent example is the California Department of Aging. Many seniors also qualify for assistance from the Social Security disability or Social Security retirement program. For information, including application instructions, visit the Social Security Administration’s (SSA) website. If you are a veteran, or the surviving spouse or dependent of a veteran, you may also be entitled to several benefits through the Veteran’s Administration. Along with well-known benefits such as pension and disability benefits, you might qualify for additional benefits you may not be familiar with, such as Veteran’s Aid and Attendance benefits. If you need assistance getting your documents and other information together in order to submit an application for Aid and Attendance benefits, call our law firm at 951-787-7711. After we put together a package for you, we will apply for the Aid and Attendance benefits for you. Once you reach retirement age, most seniors can enroll in the Medicare program. Although basic Medicare is free to all seniors, Medicare actually has four parts and the other three parts may come with a premium. If you have questions about a covered service or need to find a provider, the official Medicare website can help. In addition, if you need long-term care at some point the California Long Term Care Medi-Cal program may be able to help. The California Healthcare Foundation offers a wealth of information about the benefits available and eligibility guidelines. To apply for Long Term Care Medi-Cal benefits, navigate to the California Department of Healthcare Services website., or if you want assistance in preparing the application and applying, call our law firm at 951-787-7711. Fortunately, there are a wide range of state and federal benefits and services available to help seniors. Making sense of the eligibility guidelines and navigating the application process, however, can be challenging. 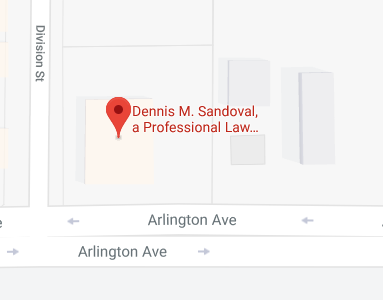 The elder law attorneys at Dennis M. Sandoval, A Professional Law Corporation are familiar with the benefits and services to which you may be entitled and are committed to helping you with questions or concerns about eligibility or appealing a denial. Seniors face many of the same legal problems as their younger counterparts; however, they also face unique issues. Our experienced elder law attorneys are dedicated to helping you with all your legal needs. Whether you need to update your estate plan to include Medicaid planning and funeral planning, wish to execute an advance directive, or need assistance creating a trust to help your estate avoid probate, we can help. If it is a legal matter that impacts the elderly or those who care for them, we have the experience and commitment necessary to help successfully resolve the matter. If you have additional questions or concerns relating to elder law matters, contact the experienced Riverside, California elder law attorneys at Dennis M. Sandoval, A Professional Law Corporation by calling (951) 888-1460 to schedule an appointment.